Back Up Camera, Bluetooth, Satellite Radio, Hands Free Calling!! You'll love the expressive design and impressive efficiency of our 2016 Hyundai Sonata SE Sedan presented in Shale Gray Metallic. Powered by a 2.4 Liter 4 Cylinder that offers 185hp that's perfectly matched with a 6 Speed Automatic transmission. 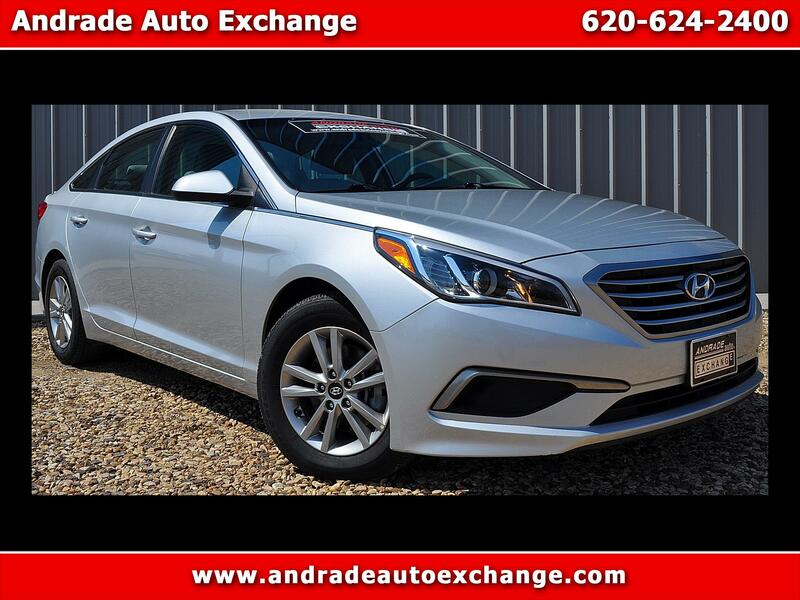 Enjoy great handling and score near 38mpg on the highway in this sporty Front Wheel Drive sedan that is amplified by alloy wheels, a rear lip spoiler, projector headlights, LED daytime running lights and a chrome-tipped exhaust. Our SE cabin features class-leading space and a multitude of premium soft-touch materials. Power windows and door locks, air conditioning, premium cloth seating, steering wheel-mounted audio, Bluetooth and cruise controls, iPod/USB and auxiliary input jacks and an AM/FM/ available SiriusXM/CD audio system are just a sampling of features you can expect.